With Donatella Versace as a personal fan of his, Keno Weidner is one of the chosen ‘faces of tomorrow’s fashion’ in the third issue of HERO. 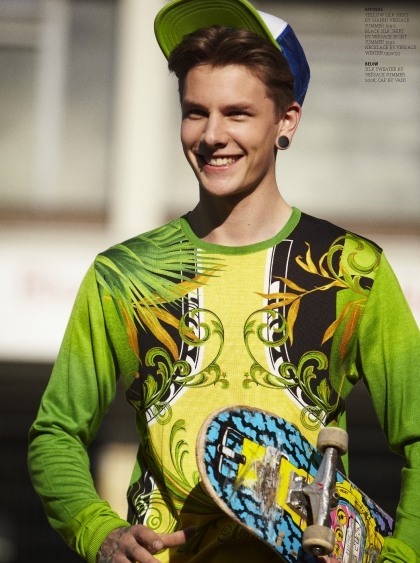 The 22 year-old charismatic skateboarder is photographed by Stefan Heinrichs and styled by Ingo Nahrwold. Click the images to enlarge and continue for more after the jump.